It’s BINGO with a musical twist! 5-8pm every Wednesday! 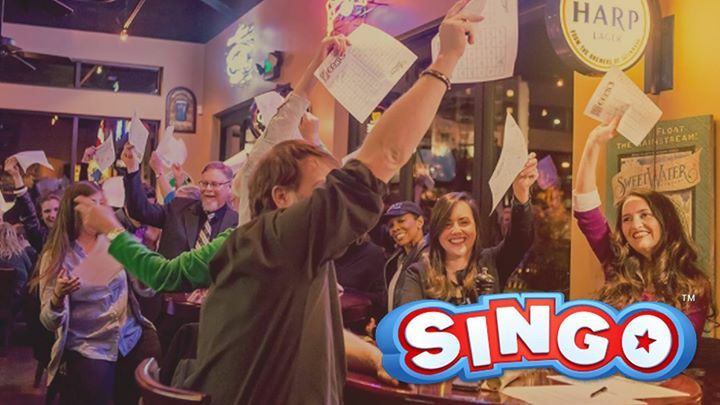 *FUN* Singo is a new and exciting musical spin on the traditional game of Bingo. Instead of listening for a number, players are listening to their favorite music. *HITS* The Singo catalog contains numerous music categories, so you’re sure to hear the top Billboard hits from past decades through today! *Rewards* Singo players compete not only to win nightly prizes, but also for a chance to win prizes nationally sponsored by Singo! *Food & Drink* Happy Hour Drink Specials! The kitchen will be open from 5-8pm with Wednesday only specials such as smoked chicken wings & sliders! No fee to play! Please call ahead for group reservations of 6 or more. (518) 584-9463.